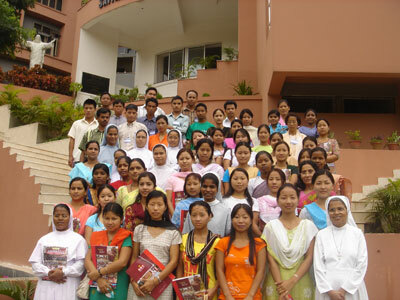 Animated by the pastoral charity of Jesus Christ, the Good Shepherd and following the example of Don Bosco and Mary Mazzarello, we commit ourselves to promote the development of the whole person through our educative pastoral project and lead them gradually to assume responsibility for their own growth and form them into persons who are capable of right judgment, correct choices and service to others. We run professional Schools to assist young girls from economically poor backgrounds. We offer them a holistic education through skills training, value education and faith formation. When they return they are able to support their families and help in parish activities. Boarding : Boarding facilitate the education of children from remote areas. They are also a means of enhancing their faith formation and preparing them to be good Christians and responsible citizens. Hostels for college girls and working Women: The hostels offer young working girls and students a place of moral security and a homely and serene atmosphere under the care of the Salesian sisters. 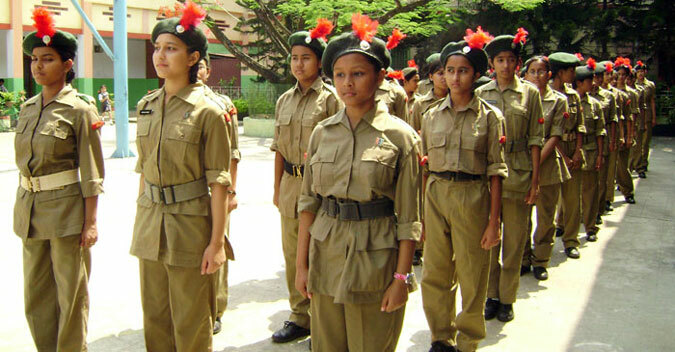 Groups and movements:Groups and Movements are of a vital means of all round growth and formation of the young people. In the groups, the young feel a greater sense of belonging; feel free to express their abilities and talents and to develop them. Thus they are empowered to achieve easily greater and nobler things. 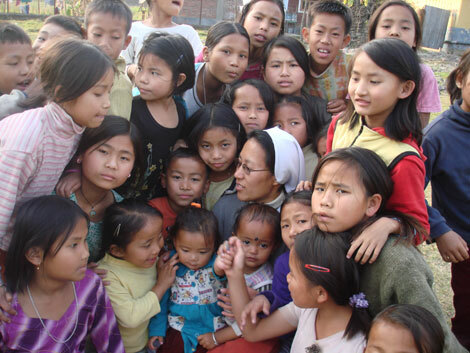 Street children’s home – One of the Priorities of the newly formed Province of Mater Ecclesiae was to launch its services to the marginalized children of the street who are denied the childhood right for education, protection, nourishment, health care and other opportunities for growth. Began in the year 2001, the aim of this service was to restore human dignity by creating a conducive climate and offering necessary opportunities and facilities for the street and destitute runaway girls. 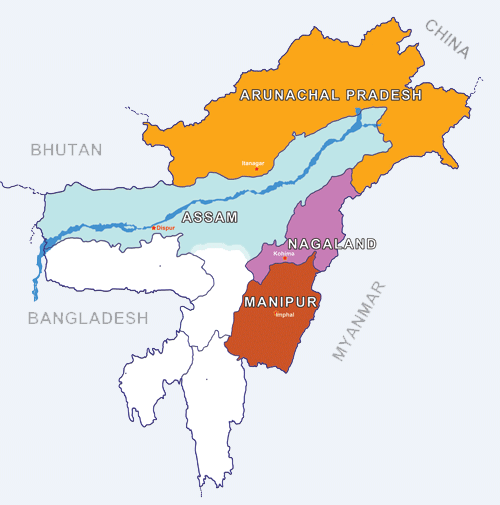 Currently the Auxilium Ashalaya has about 60 inmates. 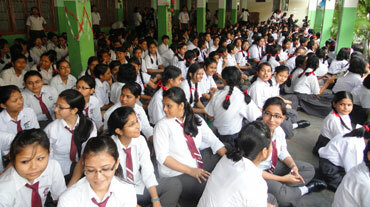 We also work in Auxilium Snehalaya, a collaborative venture with the Salesians. Snehabhavan – a Rehab Centre for Drug addicts – Responding to the crying need of the region, the Salesians sisters of the undivided Province of Shillong started the Project “Healing Ministry” at Snehabhavan, Imphal, Manipur for the chemically dependent women(Victims of drug, alcohol and prostitution ) in the year -1994. 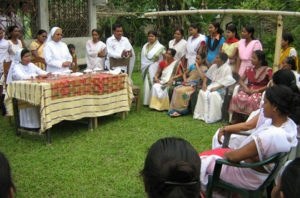 Healthcare formed an integral part of the ministry of the sisters right from the pioneering days. 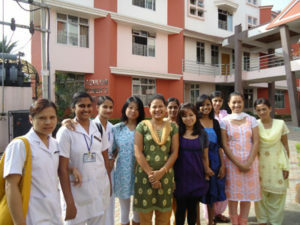 The sisters who are qualified nurses, render service without discrimination of caste, creed, colour and language. 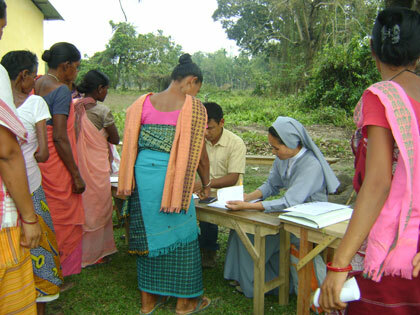 In few of our centres there are mobile clinic to reach out to the interior parts of the villages. Along with curative healing, preventive and promotive health care are given through education, health camp counselling, exhibitions and Health care programme in villages. All those who approach our centres experience healing of body and soul, since the ministry is done with the spirit of Christ and the support of prayers of our sisters. As members of the Salesian Family the SDBs and FMAs share the same charism. Therefore, collaboration in the mission at various levels is possible, significant and highly desirable. “The rich nature of the Salesian Charism is manifested more completely and attractively when the characteristics of each Group are seen together. The complexity of today’s field of education and the integral growth of the young propel us towards creativity, and at the same time towards convergence. It is the right of young people to be able to make use of the service of each Group.” (The common Mission Statement of the Salesian Family). To walk in the footsteps of Don Bosco and Mother Mazzarello, becoming signs and bearers of God's foreseeing love for the young, the poor and the marginalized.